It's Father's Day weekend, and to mark the occasion, we've got a special XP exchange rate, Gold and Credits discounts on...well, almost everything, and special missions — not to mention x2 Crew XP! Plus, if you've got a Premium vehicle collecting dust, put it to some good use! This weekend you can trade in old Premium vehicles to buy shiny new ones at a reduced price! Remember: Father's Day is Sunday, June 17! 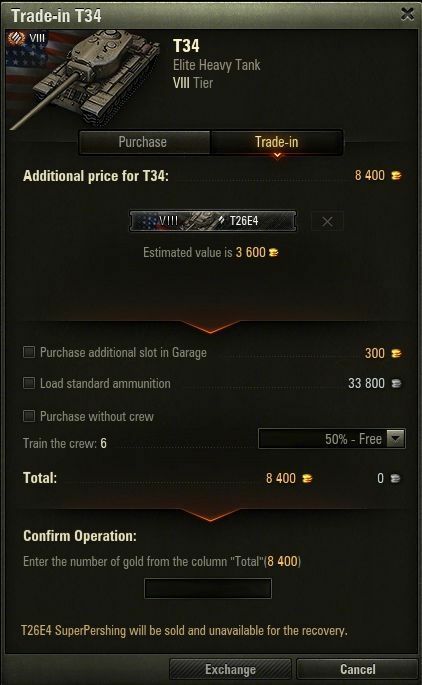 You can trade in a tier VI-VIII Premium tank when you buy a new Premium vehicle from the tech tree of the same or higher tier. When trading in, half of the old vehicle’s value in Gold will be deducted from the price of the new one. Only one vehicle can be traded in at a time. Say you want to buy the Löwe, which costs 12,500. In exchange, you’d like to trade in your old Dicker Max, which normally costs 3,200. 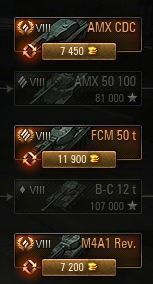 Just like when selling vehicles gives you half the original value in Credits, trading in your old Premium tank will get you half of its value in Gold, which is then deducted from the total price of the tank you’re buying. In this example, trading in your Dicker Max gets you half of its Gold price, 1,600. That lowers the price of the Löwe by the same amount, leaving 10,900 as the cost to buy. 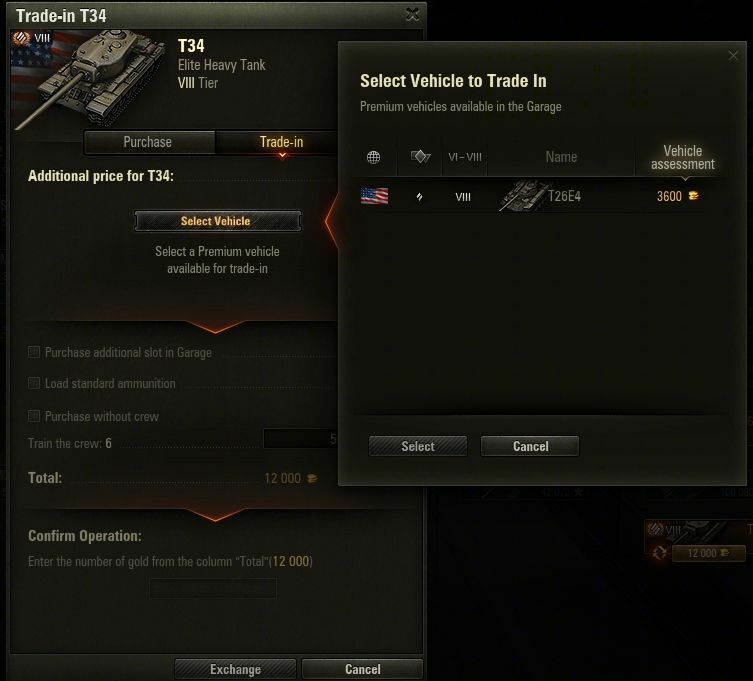 Important: Active Premium tank discounts may affect the value of the vehicle you’re trading in, if that vehicle is currently on discount. Discounted vehicles will be marked accordingly in the trade-in window. 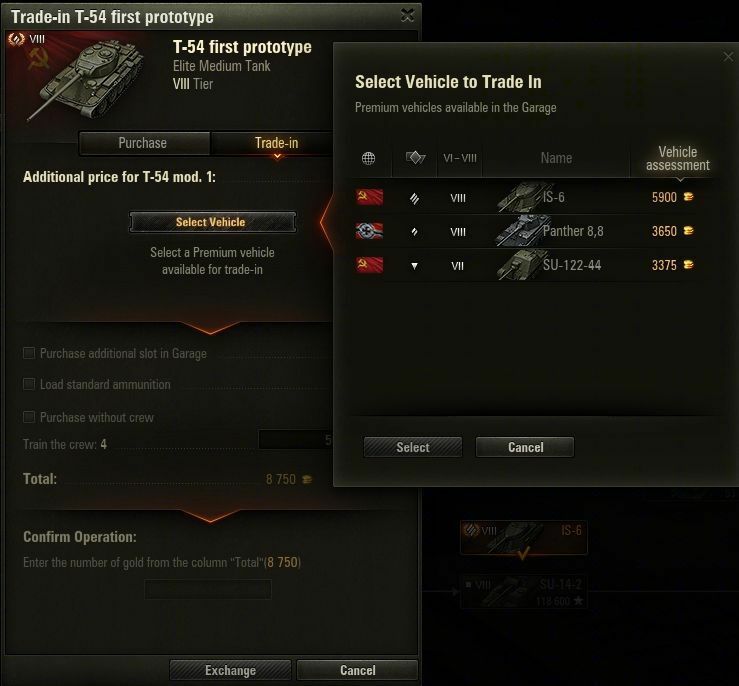 From the tech tree, choose the eligible vehicle you’d like to buy. You’ll see a list of tanks that can be traded in, ordered by price. This includes every eligible vehicle, even those currently in battle, not repaired or in a Platoon. Click on them to see their stats. 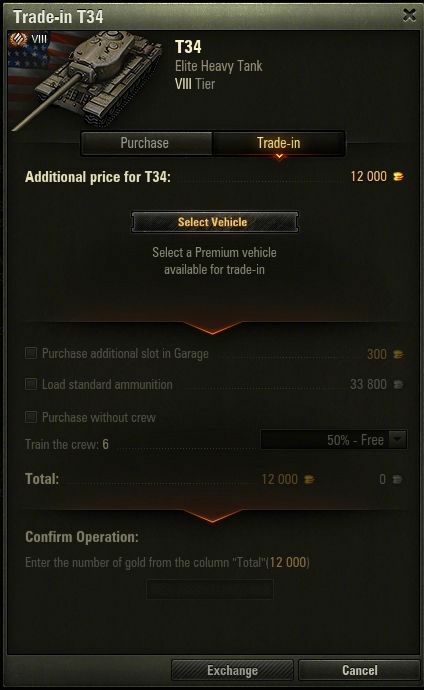 The trade-in menu also has the ability to add things like basic ammunition, Crew training, etc.